Our range of products include mild steel angle, mild steel joist, ms angle, structural angles, steel joist and mild steel flat bar. Mild Steel Angle offered comprises equal angle steel & unequal angle steel that can be made available in hot rolled/cold-bend finish options. 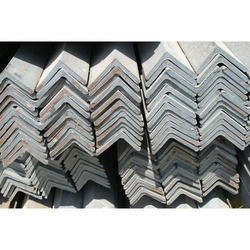 Further, these can be provided with different surface treatment like hot dip galvanized or cold dip galvanized finish. Some of its features include suitable for use in communication tower, highway, as construction steel structure component and other areas; available in length options of 6m to 12m as required; can be made available in special designs according to requirement, coming in superior anti-corrosion and high-temperature resistant finish options to pick from. Mild Steel Joist offered comes in quality construction finish and finds use in ceiling suspension system as well as perfectly match up to the demands of installing of ceiling panels. Some of the areas it is used in include office, hotels, supermarket, washing rooms and others. 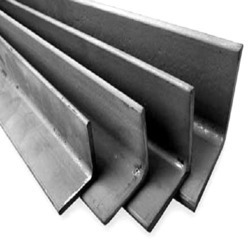 Some of its features include competitive price and good quality finish, available as per industry standards like AISI, ASTM, JIS; hot rolled finish, choice of different surface finish like galvanized an others; suitable for applications like high-rise building construction, for bridge, for foundation pile manufacturing and others. We are the leading Supplier of MS Angle. To fulfill the specific requirements of our clients, we offer these in various dimensions and thickness. The quality controllers of our organization also check the products just before the final delivery to the customers. They are delivered to clients within the stipulated time-frame in efficient packaging. Structural Angles offered can be made available by us in finish specifications including in wall thickness of 2 to 20mm, lengths of 1 to 12m as well as per industry standards like ASTM, JIS, DIN, BS, EN and others. Some of its features include angles can be offered as per customers' requirements; hot rolled construction finish, finding suitability for use as beam, in bridges, for transmission tower and others; choice of equal or unequal angle types; can be offered in OEM specification choices. 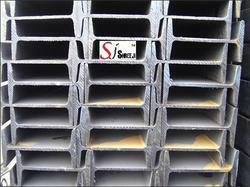 Steel Joist offered come in light weight finish as well as bear good strength as well as superior water resistance. Further, these are also moisture–proof as well as have better shock-resistance. 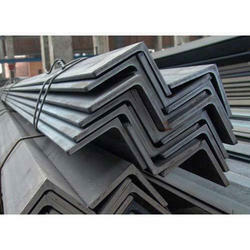 Some of its features include provide for easy and fast installation, high quality finish at competitive price, available length choices of up to 12m, tolerance options of 3 to 10%, industry standard options of EN, JIS and others; hot rolled finish, suitable for construction and decoration purposes among others. 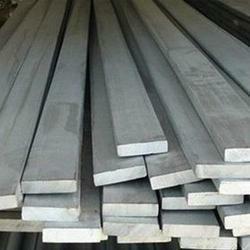 Mild Steel Flat Bar offered can be made available in industry standards like JIS, AISI, ASTM, DIN, EN and others as well as in material grade choices of 201, 202, 301, 304, 304L, 310S and others. 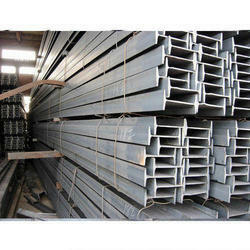 Further, these flat bars can be made available in dimension options of 3mm*30mm as well as 10mm*180mm choices. Some of its features include thickness options of 3 to 10mm & width of up to 180mm, lengths of up to 6000mm or as demanded by customers, choice of different processing techniques like hot rolling, cold drawn, polishing, pickling; high wear resistance and surface hardness post tempering among others.